Bio-Veg is a dual purpose organic liquid fertiliser, bio-stimulant and soil conditioner. It is highly concentrated and can help gardeners cater for the widest variety of plants species as it both directly feeds plants and contains stimulants that actively encourage the development of beneficial microbes. 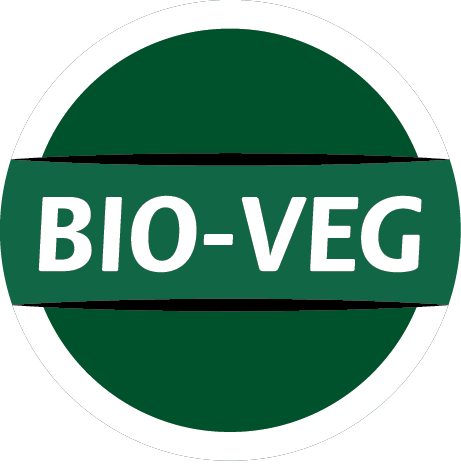 Bio-Veg contains a full complement of macro and micro-nutrients (around 60 trace elements + readily available NPK), including essential minerals and vitamins, amino acids, enzymes, organic acids and phyto-hormones that support healthy vigorous plant growth and help optimize soil health for a wide range of plant types. Why should I use Bio-Veg? Bio-Veg is 100% organic, all of the ingredients are ethically sourced and 100% natural. It contains fish hydrolysate alongside plant boosting sea minerals, organic acids and bio-stimulant amino acids specific to plant root, stem and leaf development. Using Bio-Veg can set the foundations for genetic potential to be realised come harvest time. Bio-Veg grows big plants and fast, without harming the environment. It promotes active biology and good media/plant health. When should I use Bio-Veg? 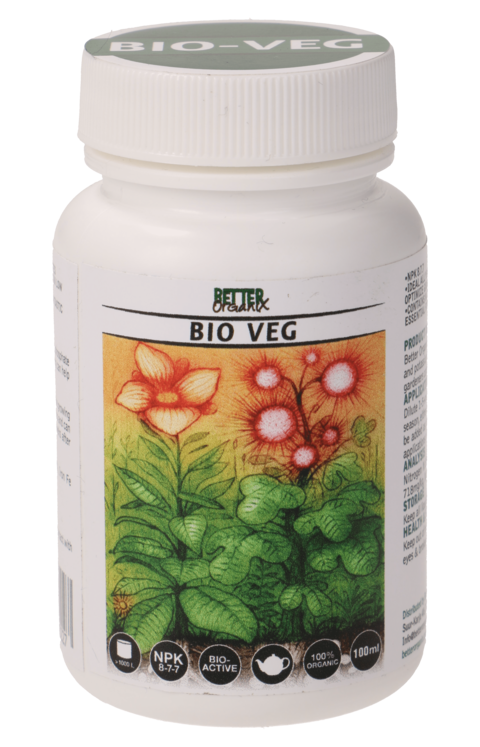 Bio-Veg works as an all round plant feed. However with short day crops, we apply Bio-Veg right up or to transition and flower set, the point at which the light levels are typically reduced in indoor grows. Bio-Veg works as a great solution during the pre flower set phases of growth which can see the largest portion of stem and leaf growth. Bio-Veg is applied for the first time in the Better Organix system at or around week 4 from seed, or week 2 from transplant. Your plant will be established at this time. This period is often referred to as the Vegetative Cycle. Use Bio-Veg continuously as a feed or use it in a grow/bloom feed system with Bio-Floret in reduced light. NOTE – Bio-Veg should not be used immediately used after such mycorrhizal products like Root Better. Allow 2-3 weeks before applying Bio-Veg. How do I use Bio-Veg? Bio-Veg can be applied at a range between 0.5 to 2ml/L (1/20th to 2/5th tsp per 2pints US). It should be applied to chlorine free water and can be applied at lower levels with each feed, or at the maximum level once a week, either as a drench or foliar application. For soil users: It is recommended you wait to use Bio-Veg until you have an established root system to avoid over powering young plants. Typically this is on or around week 4 of growth from seed, or 2-3 weeks after initial transplant. Coco and hydro users can apply with each irrigation at the lower level, upping levels as required to the maximum 2ml/L. We recommend hydro users adjust the pH of Bio-Veg in line with media recommendations to ensure best effect and use a product such as Bio-Balance Foliar to ensure lines and drippers remain clear of organic matter, prolonging equipment life and reliability. What media types are suitable for Bio-Veg? What is the pH range of Bio-Veg? In soil systems with active biology, such as those promoted by the Better Organix system, pH should not be relevant. In soilless and hydroponic substrates, you may need to pH the solution to keep within acceptable tolerance levels determined by your media choice. We only recommend organic pH down agents, such as Citric Acid based options.